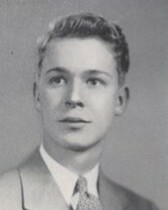 Dr. William K. McClelland, 92, of Colrain Road died Tuesday, February 23, 2016 at home. He was born in Chicago, IL on May 19, 1923, the son of Dalton and Maud (Kelsey) McClelland. He grew up in India and at the age of sixteen came to the United States, to attend Williston Academy and graduated in the Class of 1941. 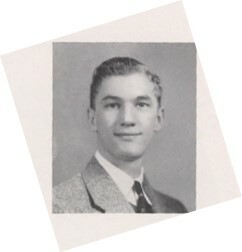 He continued his education at Yale University obtaining a Bachelors Degree in 1944, and went on to graduate from Yale Medical School Class of 1947. He did Post Graduate training in Surgery at Hartford Hospital, Massachusetts General Hospital, Boston Children’s Hospital, and Pondville Cancer Hospital. During his time at Yale, he was a member of the United States Navy V12 program. He was a Captain in the United States Army Medical Corp during the Korean War. He had a General Surgery practice in Greenfield for 35 years, working at the Franklin Medical Center (now Baystate Franklin Medical Center) before his retirement in 1991. His passion was classical music, playing bassoon in the Pioneer Valley Symphony Orchestra, Windham Orchestra, and the Four Seasons Ensemble. He played tennis and squash with a devoted group several times a week. He also enjoyed hiking on the Long Trail in Vermont. He was especially passionate about the Cleveland Indians and was anticipating a comeback to the World Series any year. He was a devoted dog lover and bird watcher. 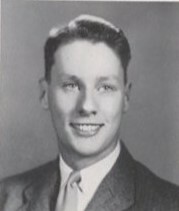 Among his survivors, William leaves his beloved wife of 67 years, Betty Jean (Weake) McClelland; three children, Alan McClelland and his wife Patricia of Montague, MA, Jean McGowan and her husband Ed and James McClelland and his wife Terry, all of Greenfield; a brother, Dalton McClelland of Tucson, AZ; thirteen grandchildren and four great grandchildren and several nieces and nephews. Also considered as part of his family was Soni Oyekan, an exchange student from Nigeria. William was predeceased by a brother, Harry McClelland of California,and a sister, Marion Cramer of Ohio. William of Woodmere passed away on July 21, 2015 at the age of 92. He was a devoted husband to the late Helen Mills Alpert. He is survived by his brother, Richard Alpert (Ram Dass), beloved father to his daughter Patricia Alpert Benson, son Peter Alpert, and grandfather to grand-daughters Rachel and Rebecca. Graduate of Williston Academy, Dartmouth College and Boston University School of Law. Veteran of the Army Air Corp (First Lieutenant and Pilot Instructor WWII). Former Assistant Attorney General. Prominent Manhattan attorney. Former President Temple Beth-El in Cedarhurst. Eileen S. Vail, 92, of Nashua, and formerly of Northampton, Massachusetts, passed away peacefully Friday, Oct. 23, 2015, in Nashua. Eileen was born March 30, 1923, in Northampton, Massachusetts, the daughter of Neil and Viola (Sheridan) Sullivan. 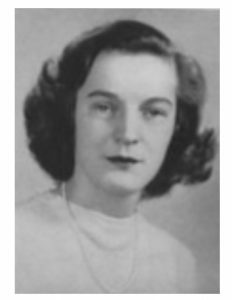 Eileen attended local schools, graduating from Northampton High School class of 1940. She furthered her education, and graduated from Smith College in 1945. Eileen entered the insurance field and was a sales and insurance representative for several companies throughout the years. She met and married Thomas Vail and they began their family. They moved to Monson, Massachusetts, where Eileen taught elementary school before the family moved to New Hampshire where they settled. Eileen was a devout Catholic and attended church in her youth at St. Mary’s in Northampton, Massachusetts, and later in New Hampshire. Family was very important to Eileen and she cherished her time spent with them at gatherings, holidays and vacations. Mr. Vance F. Likins, Jr., age 94, died peacefully on Monday, April 20, 2015 after a lengthy illness. He was the beloved husband of Christine (Robinson) Likins, with whom he shared 68 years of marriage. Born in Cambridge, Vance was the son of the late Vance Likins, Sr. and Marthella (Church) Likins. Prior to his retirement, Vance worked as an Insurance Adjuster for Aetna Insurance Co. for over 28 years. Vance and his wife spent many hours on Siesta Key and enjoyed walking the beach. He enjoyed his Jazz Music and he and wife traveled the world with the Count Basie Band. In addition to his wife, he leaves one son: Vance F. Likins, III and his wife Beverly of Marblehead. He was the grandfather to Sandy Norris, Meri Likins and Skip Likins. He was the great grandfather to Shawn, Sarah, Shayla, Susie Emily, David, Tabitha, Isabella and Lucky. He was the brother to Priscilla Doty of Bethesa, MD and the late Sam Likins and Cynthia Vernardakis. Stephen B. King, age 91, a North Chatham resident since 1989, died Feb. 14, 2015 at Cape Cod Hospital, after a brief illness. He was the husband of Helen L. King. Mr. King was born in Northampton, MA where he attended Smith College Day School followed by Williston Academy prior to graduation from Deerfield Academy. He went on to MIT from which he graduated in 1947 with a degree in chemistry, after serving in the U.S. Army and attending the Coast Guard Academy. 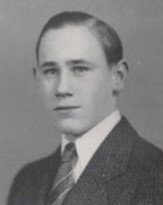 During his stay at MIT, he was a member of Theta Delta Chi Fraternity, the vice president of his senior class, the commodore of the MIT Sailing Association and the president of the Intercollegiate Sailing Association. John Joseph Costello, Jr., 93, formerly of Northford, beloved husband of the late Nancy Gere Costello, loving father, grandfather, great grandfather, and dear friend, died peacefully, Sunday, October 19, 2014 at Talmadge Park in East Haven. 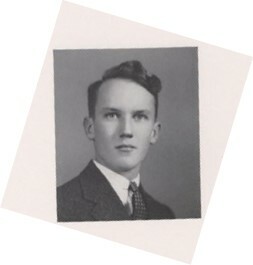 John was born October 5, 1921 in Springfield, Mass, a son of the late John J. and Loretta Bradley Costello. He was a graduate of Williston Academy, Easthampton, MA and Syracuse University. 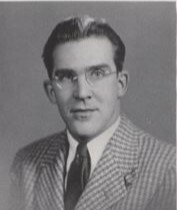 John was a Manufacturer’s Representative working most of his life with scopes, tools, and gun manufacturers. A life-long member of the NRA, he was an avid sportsman and gun enthusiast. He was an active North Branford Rotarian and for many years an usher at St. Monica Church. He is survived by a son, John J. Costello, III and his wife Patricia, of Garland, ME; a daughter, Elizabeth C. Buonocore and her husband Gary, of Guilford; five grandchildren, Janette (Todd) Schiavi, Sarah Buonocore, Jason (Dominica) Costello, Sean LeTarte, and Thea (Alan) Douglass, and ten cherished great grandchildren. He also leaves his very special friend and long-time companion, Amellia Zaehringer, of Northford; a brother-in-law, George LeRoy, of Cape Cod, and several nieces and nephews. 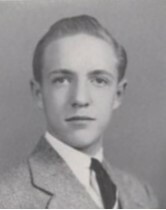 John was predeceased by a brother, Robert Costello, and a sister, Barbara LeRoy.